We are prominent manufacturers, Suppliers & exporters of high-quality Cone Calorimeter from Delhi-NCR, India. 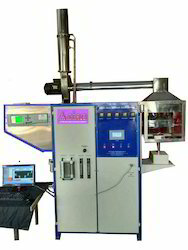 Asian Cone Calorimeter is used for the determination of the fire behavior of the various samples in the solid state. 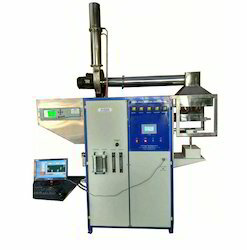 The Cone Calorimeter Device is used to collect information of the various parameters associated with the burning characteristics such as ignition time, mass loss, combustion products, heat release rate etc. of various samples. We are manufacturers & exporters of high-quality Cone calorimeter from India.The test method is based on the observation that, generally, the net heat of combustion is proportional to the amount of oxygen required for combustion. The relationship is that approximately 13,1 × 103 kJ of heat is released per kilogram of oxygen consumed. Specimens in the test are burned under ambient air conditions while being subjected to a predetermined external irradiance within the range of 0 kWm−2 to 75 kW m−2 and measurements are made of oxygen concentrations and exhaust gas flow rates.